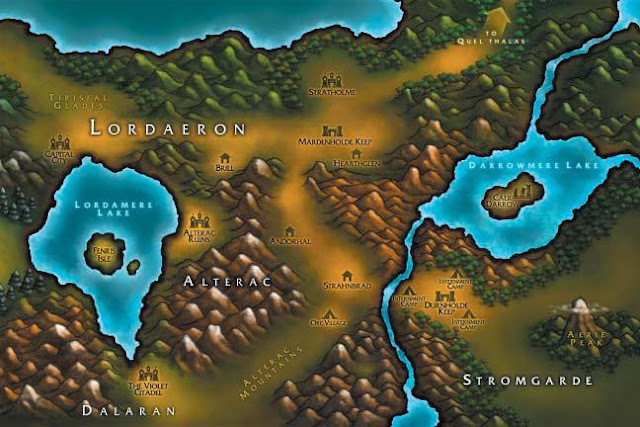 In the north of Lordaeron region in World of Warcraft, the popular online role-playing game by Blizzard, one of the few white spots located on a map of Azeroth. The secret area located in the north of Lordaeron, and can not be entered in the normal way so far. But for years, players of World of Warcraft have been trying to discover this region. The YouTuber and WoW gamer HeelvsBabyface has not let up and so long trying to get into the secret area until it finally worked. We have below the video of HeelvsBabyface, so you can get yourself into the new secret area. Not much. Because the secret region is completely bare and nothing is to be found therein. Furthermore, you will find evidence suggests that earlier Naxxrammas should have live there. Furthermore you will find on the beach, a single, lonely turrets and a dock for boats in the style of the night elves. All very mysterious, because these things are as sure about not only as an ornament. In addition, you can fly around with the flight-mount in parts of the new territory. What Blizzard but end up making with the new area is still unclear. Perhaps the secret area will accommodate in the future, the ruins of ancient human kingdom of Lordaeron or even contain the master land of the elves of Quel'Thalas.